As you can see we have been hard at work upgrading and redesigning the Explore the Seafloor website. We think the new design makes finding things and looking through the website an even better experience than before. With all this recent frosty weather we have had plenty of time in the office to create our exciting new secondary school lessons and games. 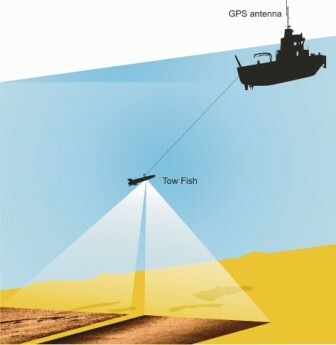 The lessons focus on marine food webs, ancient landscapes and the amazing technology which helps us map the seafloor. The eLearning games are being built with the skill of web animator Chris Day from Little Creature. Each of our games are designed to test your knowledge of the seafloor AND your skill. The games will be going live in February so don’t forget to check the website. 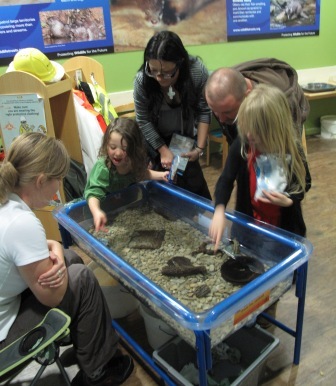 This October half-term holiday the Explore the Seafloor team was out and about. 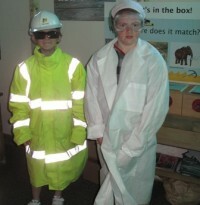 The last 2010 roadshow ran at the National SEA LIFE centre in Birmingham, and it was one of our busiest. We had lots of fun and were particularly impressed with the Halloween costumes that some of our younger visitors wore. Katie and Sarah, Explore the Seafloor team members, also got very excited about seeing the cast of the BBC TV show “Hustle” filming at the end of their street, as well as a Jet Ski chase for a Bollywood movie along the Birmingham canals. On the South coast ETS team member Rhonda put on a one day special event at the New Forest Centre, working alongside outreach officers from the New Forest National Park Authority. On a miserable autumn day it was a fun way to escape the weather although people still got a bit wet at our archaeology handling table!! Explore the Seafloor is pleased to announce a new special event to keep the family occupied during the October half term school holidays. 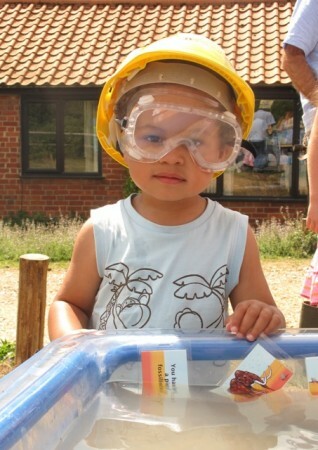 Join us at New Forest Centre on Wednesday the 27th of October for a day of fun and exploration. The centre is open from 10am to 4pm. Entry is free for under 16s and £3 for adults. 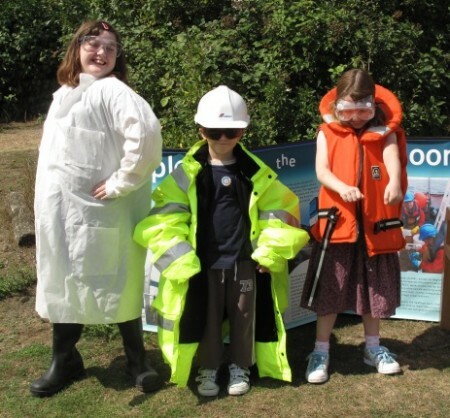 The New Forest National Park Authority will also be coming along to tell visitors about the exciting maritime archaeology project they are undertaking along the park’s coastline. 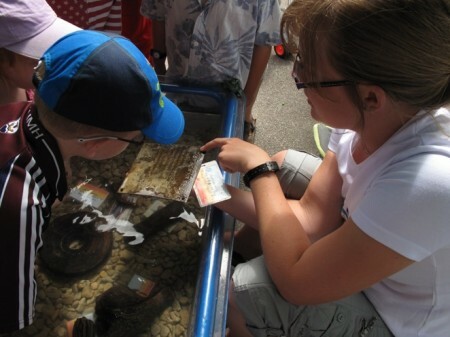 August kicked off with Marine Week and Explore the Seafloor ran two special events at coastal Wildlife Trust centres to mark this annual celebration of the sea. 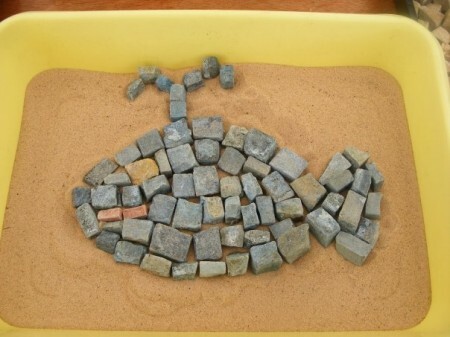 On Saturday the 7th of August Explore the Seafloor ran a hands-on workshop at the Kent Wildife Trust’s Reculver Nature Park, near Herne Bay. The centre is an excellent venue for us as it already has great information about the archaeology and history of its surrounding area, from the Ice Age to World War II. 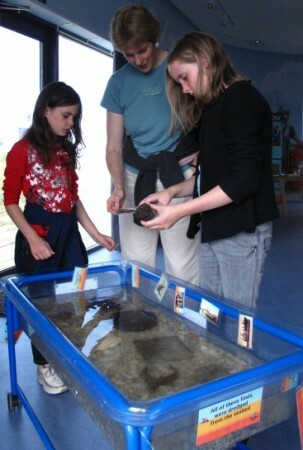 Visitors enjoyed handling some artefacts that date to the information at the centre, including a mammoth’s tooth and the remains of a World War II machine gun. On Sunday the 8th of August we journeyed on to Colchester and Essex Wildilfe Trust’s Fingringhoe Wick Nature Reserve. It was a beautiful sunny day and so we set up outside and had lots of families stopping off to play before they took a walk around the beautiful nature reserve. Visitor’s particularly enjoyed the dressing up and we have some great photographs of the day – check out our photograph albums on our Facebook pages. Overall the weekend was a great success and Explore the Seafloor would like to thank both centres for being so enthusiastic and welcoming. This weekend Explore the Seafloor will be attending “ From Caves to Cohorts” – English Heritage’s Festival of British Archaeology event at Fort Cumberland, Portsmouth. 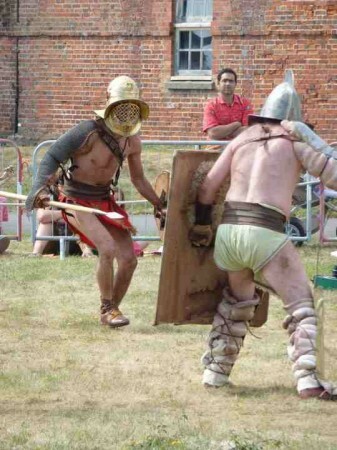 The event will be investigating the past, from prehistoric times to the Romans. 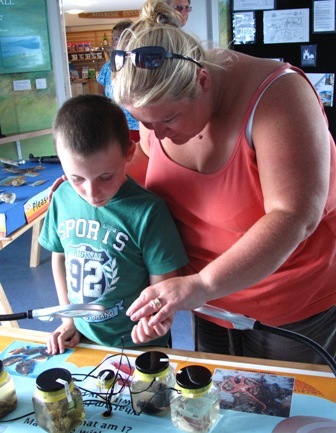 Come along to enjoy lots of fun, hands-on family activities. 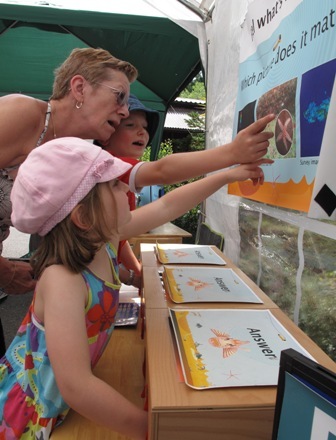 You can find Explore the Seafloor in the Maritime tent – so pop in and say hello!